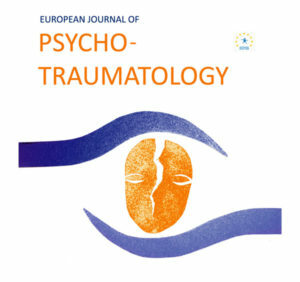 De European Journal of Psychotraumatology (EJPT) roept mensen op papers in te dienen voor special issues over: ouderen, e-health & integratieve behandelingen. Trauma and its sequelae in the elderly population are another rather under-researched topic. We still know very little about the long-term consequences of traumatization with respect to the assessment of disorders and their treatment, or about the effects of traumatization during older age. Deadline: 15 April 2018. Similarly, the development and use of eHealth including web-based and mobile apps (mHealth), online interventions, telepsychology, serious gaming and virtual reality are increasing rapidly. eHealth applications may be used for screening, monitoring, diagnostics, (early) self-help, prevention, treatment, relapse prevention and maintenance care, but despite the potential advantages and technological innovations, the empirical evidence for eHealth applications in the field of traumatic stress is still limited. Deadline: 15 May 2018. More and more people are seeking complementary, alternative or integrative ways to find help such as meditation, yoga, acupuncture, energy therapies and herbal supplements, for trauma-related problems. But what is the evidence for the efficacy and effectiveness of these treatments? What are the mechanisms of action? Deadline 15 June 2018. Voor meer informatie over de oproepen kan de website van EJPT geraadpleegd worden.